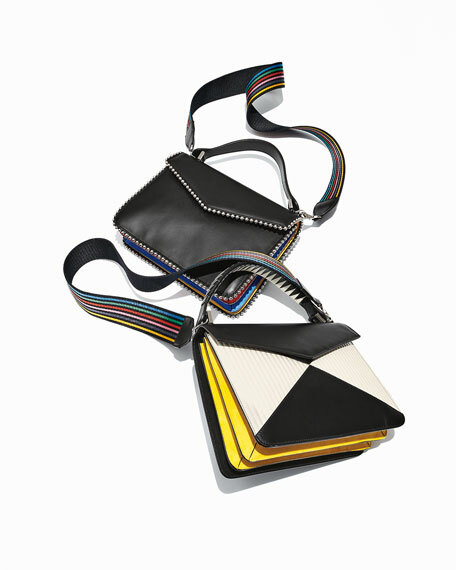 Les Petits Joueurs colorblock quilted leather crossbody bag with suede sides. Flat shark bite top handle, 5" drop. 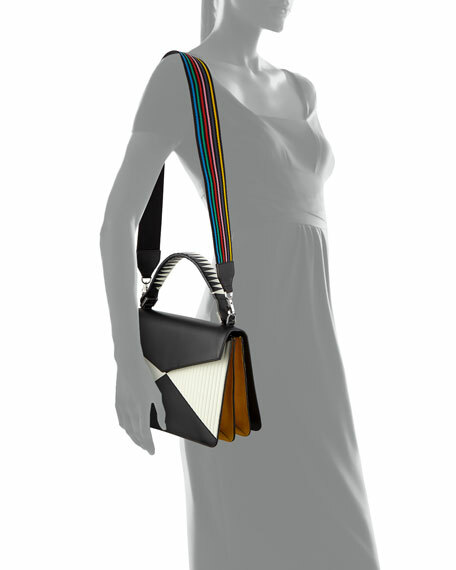 Removable rainbow web shoulder strap, 16" drop. "Pixie" is made in Italy. French for "the small players," Les Petits Joueurs was founded by designer Maria Sole Cecchi and her brother Andrea in 2010. 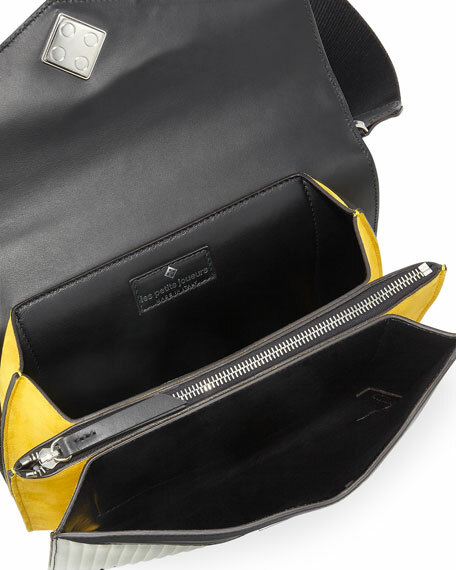 The line is headquartered in Florence, Italy, where each of the bags is handcrafted. The designer's playful incorporation of Lego® blocks makes the bags easy to spot in the hands of the front row at New York Fashion Week.